“No legacy is so rich as honesty.” ~ William Shakespeare; English poet, playwright, and actor. It is well known that life is pressure and stress quite often, and so you might feel like concealing something from yourself and from others. Perhaps like in school, when children, telling yourself you’d do homework later after the video games, when you had your friends coming over to play with you and so you knew that you wouldn’t have time to do homework later, or even have a desire to do so later. Just kids, right? But that kid grew up. And you must take responsibility for your actions now, good ones and not so good ones, and you must embrace every little thing that happens. This is the mature and strong kid still in you, now grown up, experienced, but still a creative kid that has to embrace imagination and solve problems and accept those challenges with a positive attitude. The attitude of the master of your life. Absolute honesty means a free mind and an unpolluted heart, and it is the very core of the truly awakened one. See, if you must hide anything or trick others, deceive yourself and keep yourself tied to a belief deep inside you know to be nonsense, then, it is a lack of confidence and self-love that is ruling your inner being. 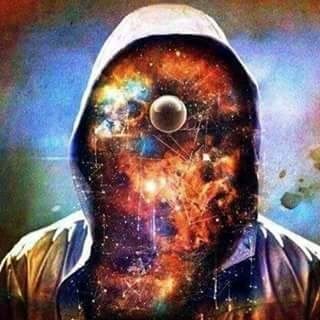 Subconsciously, something has taken your reality captive, you are not totally free and you need to make up your own reality, while affecting others. This is deceiving yourself, distancing yourself from all light, bringing more suffering into your life (perhaps without your own knowledge). You must accept who you are with your flaws and strengths, with your failings and achievements; otherwise, you are just running away from the present and from the real you (where you can certainly find utter bliss). And you are allowing yourself to grow your ego and create more dysfunction in your own mind, while affecting your loved ones and the ones who want to connect with you in the process. Be honest with yourself and with others. The path to all light. Honesty is being true with yourself and with others. This process takes a higher mind and is not that easy to keep all the time; and so it is why most people fail at this. Absolute honesty we may call a strength of the powerful, because it is getting over the temptation to lie and using the energy in a constructive manner, a constructive force.